European SPV: morale-boosting panacea or recipe for more inner fighting among the ruling Iranian mullahs? Jan. 19, 2019 - Shortly after the current U.S. administration pulled out of the Iran nuclear deal, the European Union announced its plans to set up a clearinghouse-like mechanism that allowed continuous trade with Iran by circumventing the resuming energy and banking sanctions. At first, the so-called Special Purpose Vehicle (SPV) functioned as an anti-dote to the gradually waning moral of the already battered base of the Islamic Republic. Four decades of hypocrisy, blatant corruption, and nepotism takes its toll.  On the same day, Young Reporters Club quoted a Politico article saying that, “the SPV will probably launch in mid-January, around the third anniversary of the implementation of the nuclear deal.” The full Politico article describes that the SPV will probably only cover goods already exempt from sanctions, but the Iranian outlet didn’t find it useful enough to relay. But despite continued efforts to boost morale with the promise of the SPV, fear and anxiety is already showing through the cracks. But as time passes and while European officials gradually decrease Iranian expectations from the SPV, the panacea is starting to turn into a prescription for reopening old and nasty wounds of inner quarrels between the ruling Iranian factions.